After the criticisms of the second game Naughty Dog regrouped and started working on a new followup. This third in the series would be the most ambitious yet. After two extremely successful games Naughty Dog had a large budget to work with, but less than a year to build and finish the game. 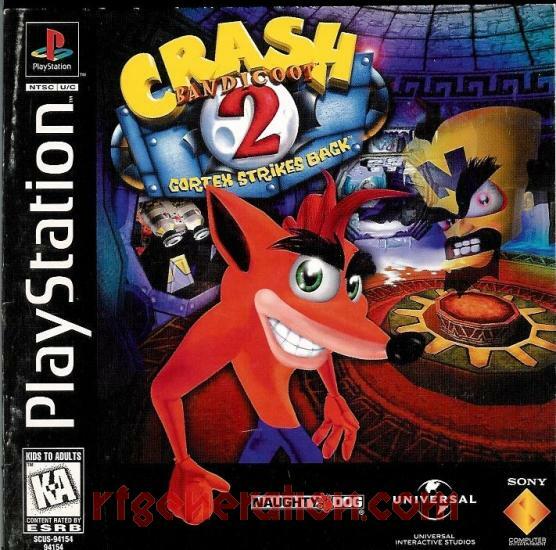 Like its predecessors the game saw immense success in Japan, and dethroned Crash 2 as the most successful Western developed game in the country. 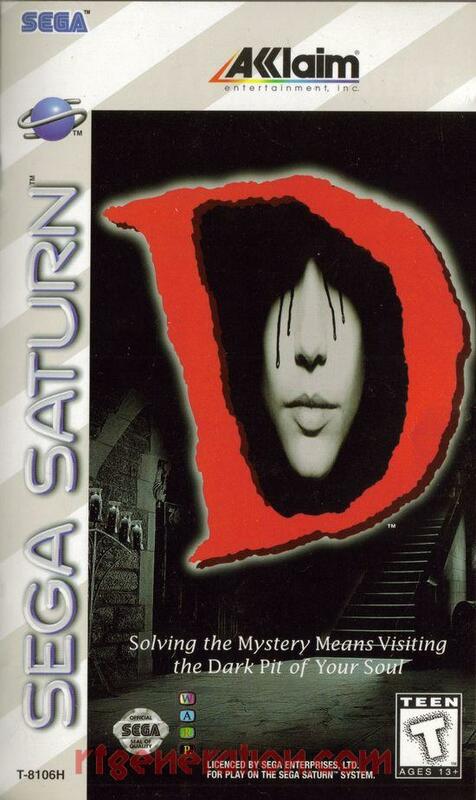 It was the first non-Japanese game to earn the Platinum Prize for selling over 1 million copies in Japan alone. 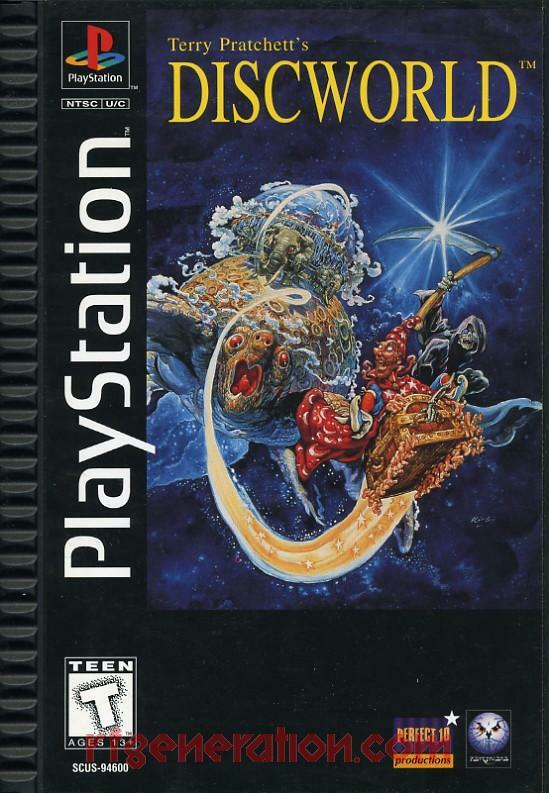 Crash Bandicoot 3: Warped would move away from the tropical islands somewhere off the coast of Australia and have our heroes trek through time. Dr. Neo Cortex is one again Crash’s adversary, but he is shown as little more than a subordinate under the powerful mask Uka Uka. 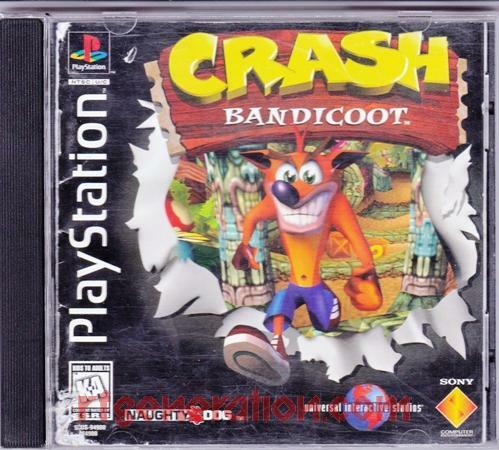 Since Crash has had his own mask since the beginning this only serves to increase the rivalry between the two as well as deepen the story of the series. Each world’s boss also contacts Crash a couple times as you beat levels, so even they get more character development than most video game bosses. I’m not sure how many people really care about the story of platformers, but its there if you do. 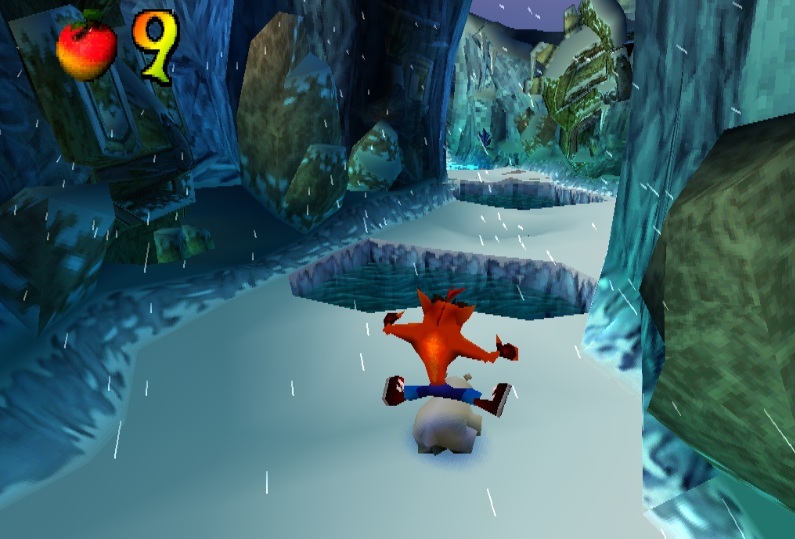 In my review of the second Crash game I had some issues with the level design, and that level design showed unpolished physics which hurt the controls. 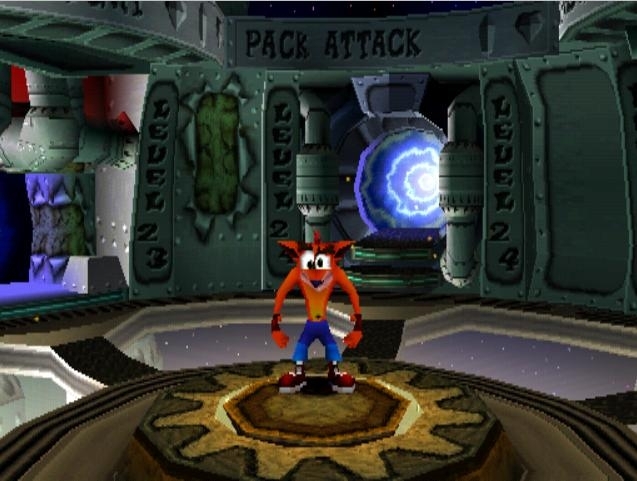 The level design has been changed more to focus on the 3D elements of the Crash formula. Side scrolling is used fairly sparingly. The ice problems are gone as a result of the time trekking levels, there’s just not an Ice Age level in sight! Much more variety has been added to the overall level design. There are racing, jet ski, and flying levels on top of the usual platformers, so this game has wonderful shifts of pace that keep you on your toes. 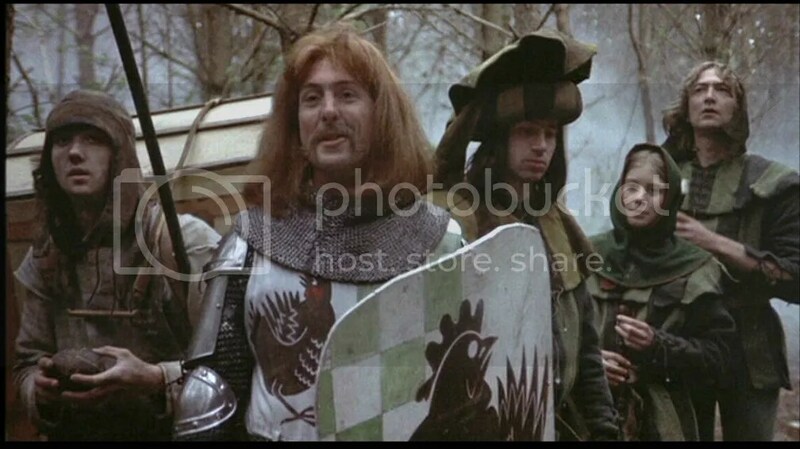 There are also more playable characters. 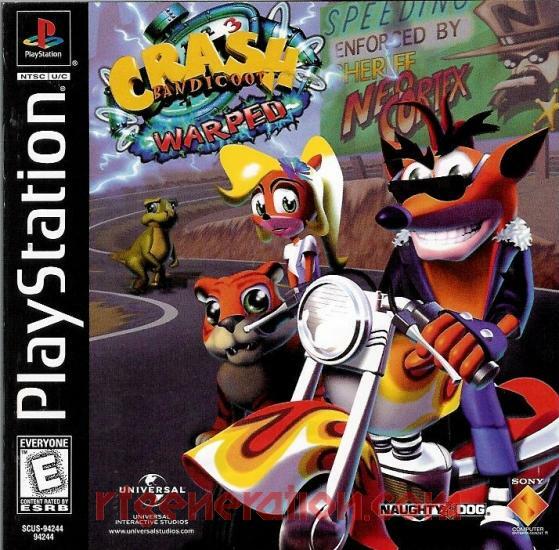 Crash’s sister Coco is available as the playable character in certain levels only, and like Crash she gets to ride a cute little animal (a tiger in her case), ride a jet ski, and fly through the skies. Crash does all the racing though, which only shows that the team was already building Crash Team Racing when they were developing this game. As you defeat bosses you get extra abilities to help you explore future levels and complete the bonus areas. These also help to access previously blocked off areas in previous levels. The difficulty has been toned down quite a bit. I did not run into any problems getting through levels until the last few, and even those were not hard to overcome. 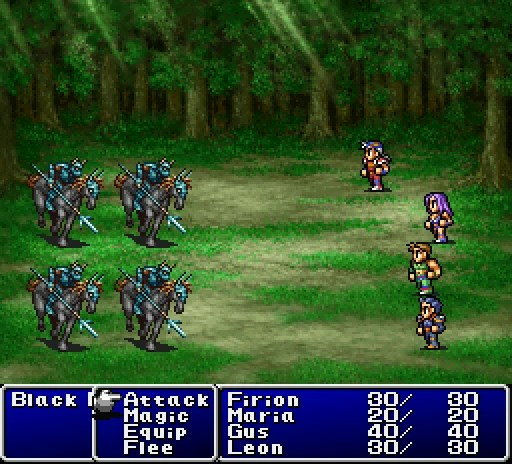 Boss fights are mostly a joke, and a formality. 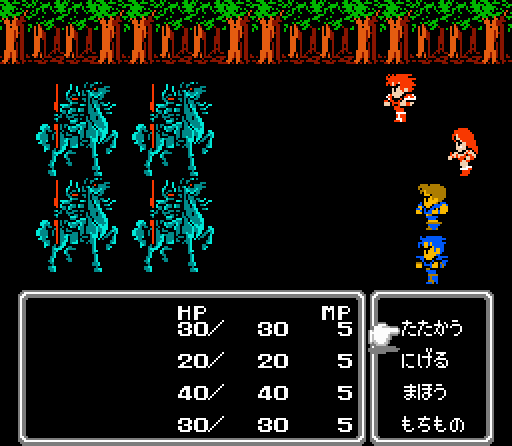 Because of the lowered difficulty this feels the most kid friendly of the trilogy. This game could seem easier to me though since I did own this growing up, and I might still have some muscle memory buried deep down in the back recesses of my mind. 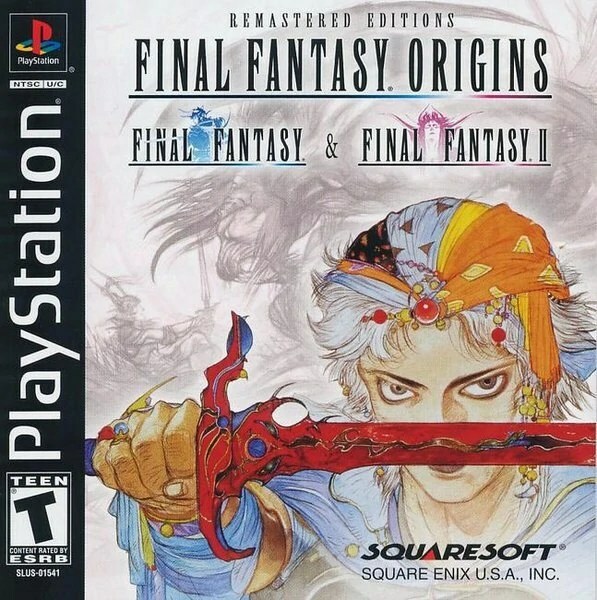 Overall I do consider this the best game in the trilogy, despite the low difficulty. There’s just so much variety and fun to be had in this game. If you’re looking for legitimate challenge the first Crash is what you want. In my opinion the second game is the worst in the trilogy, but its by no means a bad game, just annoying.